This is a collection of some of the best photo that I have taken on my journey through Andalusia, Spain during the last two years. 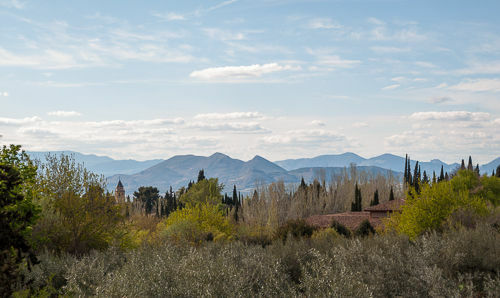 Mountain chain seen from Granada. This is the second part of a trip report of the ascent to Mulhacén, the highest mountain of continental Spain. 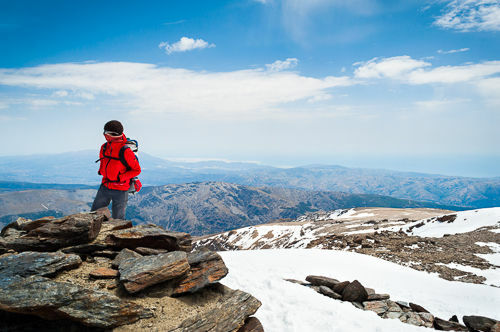 We started at the Poquiera mountain hut and took the Western route up to the summit. You might want to read the first part before. On the summit of Mulhacén. View towards the South. You can even see the Mediterranean Sea in the distance. This is the first part of a trip report of the climb of Mulhacén, the highest mountain of continental Spain. 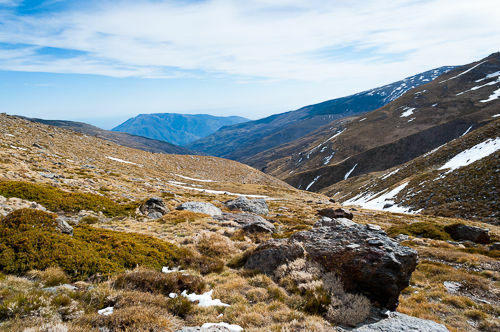 I started in the small mountain village of Capileira and reached the mountain hut Poquiera. View down into the valley that I came through. Refugio Poquiera is behind me.